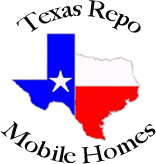 Texas Repo Mobile Homes | Buy a Mobile Home for Less!!! We have a wide varierty of used Manufactued Homes in Texas, commonly known as Mobile Homes. We have a list of the repossessed houses from the banks and they sell for less. Really affordable Singlewides and Doublewides with competitive prices. Privately owned used Mobile Homes, slightly used Manufactor Homes, and our specialty "Repo Mobile Homes" that Banks repossess. We can get geat really good deals on this repossessed Mobile Homes. Most of them are in the San Antonio, TX and Austin, TX area, but we can deliver anywhere. Vanderbilt Mortgage, Green Tree and 21st Mortgage are thy primary lenders we work with to get you a good deal on a Mobile Home. Single Wides , Double Wides or Modulars.. 2 bedrooms, 3 bedrooms, 4 bedrooms or 5 Bedrooms. Five Bedroom Homes are hard to get though. We are based out of San Antonio, TX but we have inventory and partners in different locations in Texas. Just give us a call (210-617-3767), send us an email (info@repomh.com) or fill out a contact form with detailed information of what kind of Mobil Home you're looking for, and let's do business together. We are an authorized Retailer by the Texas Department of Housing & Community Affairs to sell Mobile Homes. *Used Repo Bank owned Manufactured Homes will be more affordable than buying it new. •All exterior doors and windows are in place. Any window that is designated an egress window is in working order. *We will give you a 60 day habitability warranty after purchasing a Mobile Home from us. *We will figure out what you need and what you can afford and we will make sure we find the best home for you that you will like. We have all different models and years... Palm Harbor Homes, Solitaire Homes, Clayton Homes, Patriot Homes, Skyline Homes, Oak Creek, Oakwood Homes, Redman Homes, American Homestar Homes, Champion Homes, Fleetwood, Schult Homes, Cavco Homes, Town & Country Homes. The Trailers are located within these cities, but they all can be shipped anywhere in Texas, Arkansas, Oklahoma, New Mexico and Louisiana. On a scale from 1-10... We have Mobile Homes in really good conditions (9-10 Rating), some not too bad 7 or 8 rating and we also have some fixer uppers that need some TLC 4-6 rating. All Mobile Homes are priced accordingly depending on what you're looking for. They are definitely affordable. 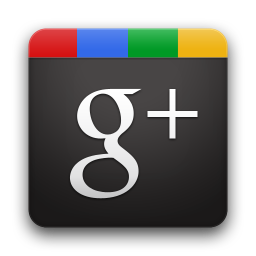 If you want to know some tips on what you need to know before buying a Manufactured Home, click here. We don't sell homes that need excessive amounts of repair. If you need owner financing, we have a contact that will do for sale by owner if you meet the requirements. Cheap pre-owned and decent park models at discount prices. We sell new mobile homes and used mobile homes at factory prices in Texas. We can deliver anywhere. Discounted double wides in TX, foreclosed three bedroom shult double wide for sale in San Antonio, TX, foreclosed four bedroom excelent doublewides located in San Antonio TX, high-quality doublewide in TX, foreclosed nice single wides TX for sell, repo single wide for sale in Texas.